We caught up with Personal Chef Lisa Barnes to talk about her book, The Petit Appetit Cookbook – Easy, Organic Recipes to Nurture Your Baby and Toddler. 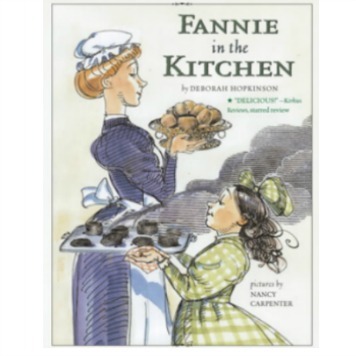 Lisa’s passion for involving young children in the process of healthy meal preparation infuses this lively easy-to-read illustrated book for parents. 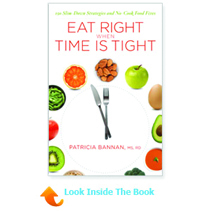 More than just a typical cookbook, it emphasizes the use of organic foods while offering practical advice, information and easy-to-prepare recipes. Lisa is a member of the American Personal Chef Association, holds a Certified Food Handler’s License and is the mother of two young children; the book’s official taste-testers. Through her company, Petit Appetit Inc., Barnes offers in-home private cooking classes, food services, group workshops and cooking demonstrations throughout the California Bay Area. Make your own taste-tested child friendly healthy meals and snacks with recipes for infants, toddlers and preschoolers. The recipes are broken down according to a child’s age and developmental stage. Where to find the healthiest foods in your market. Which cooking tools and equipment make cooking easier. Which foods you should always keep in stock at home. Understand the benefits of home cooking, including its higher nutrient content and lower levels of chemicals and preservatives. Learn more about how to more effectively parent in the kitchen and during mealtime. Identify food safety issues – an important topic involved with infants’ and toddlers’ growing immune systems. Understand what defines organic and why it is important. Lisa Barnes’ recipes are simple and innovative. They provide plenty of variety and opportunities to discover which foods your child will like. Though the recipes are developed for children, the author gives tips on how to modify them so the whole family can enjoy the same meals with little extra effort. What makes your book and your approach to cooking for kids and family unique? I think it’s unique in that it stresses organic, whole foods – with recipes that are easy and convenient for parents. It is also more than a cookbook. 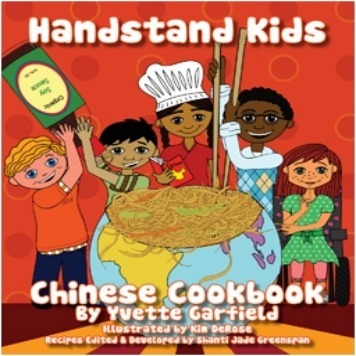 It is a guide to empower parents with confidence to cook for their children and to help establish healthy eating habits. There is information on everything from introducing solids, the value of organics, warnings of allergies and intolerances, and developmental cues, to getting children involved in the kitchen. How do you get your children involved with cooking and making healthy choices? My children make healthy choices because that’s what they’re familiar with. If we go to the farmers’ market and my son chooses a muffin, he’ll pick the dark bran. That’s because when we bake at home he’s used to seeing our baked goods come out dark in color (because we use whole grains instead of white flours and sugars). Parents need to make healthy choices for the whole family and children will follow. It just becomes routine. Also shopping where there is less temptation of mass marketed junk and processed foods (like traditional mega grocery stores) is helpful – it’s hard for a child to make an unhealthy choice at a farmers’ market or a natural food store. What staples do you always keep on hand in your pantry, refrigerator or freezer? Besides a variety of fresh produce, fish and meats, I always have milk (whole, non-fat and soy), yogurt (plain, whole milk and nonfat), eggs, cheese (variety), whole-grain breads (bagels, pita, sandwich), beans and legumes (canned and whole dried), whole grains and pasta (couscous, quinoa, various noodles), dried fruits (raisins, cranberries, apricots), nuts (unsalted raw and roasted), and whole-grain cereals (oats, bran, muesli, low-sugar varieties). Here are some more recommended kitchen staples. What are the two quickest meals you can whip up for your whole family that everyone will eat? This will sound strange but my son’s favorite foods are mussels and crab. (I think because it’s fun to eat with the little crab forks.) He begs me to buy either of these when we’re at a fish purveyor. The mussels I steam in a vegetable/wine broth with sautéed peppers, onions and cilantro. Even quicker is buying the cracked crab. Then I make a spinach salad and toast a loaf of sourdough bread. Another quick meal is quesadillas. I can usually reinvent any leftover into a quesadilla. Every child and adult likes cheese, so melt it over last night’s chicken, beef or shrimp with a dollop of homemade guacamole or mango salsa and enjoy in a corn or flour (we do both) tortilla. Black beans and roasted broccoli round out the meal nicely. What have been the most challenging aspects of feeding your children? Some of the mealtime behavior (or I should say misbehavior) is a challenge for me. I have a very active daughter who wants to eat but also wants to stand up in her highchair (and laugh and “test” me). Also, children are naturally grazers. They need fuel all day to keep up with their development and activity level. Some days it seems like one of my children is always hungry. Just when one is finished with a snack, the other decides he or she is hungry too. 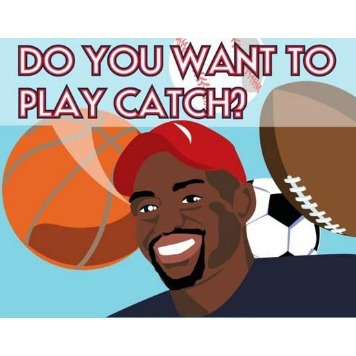 Do you have any specific tips for parents who are going through similar challenges? My other tip, besides consistency for behavior challenges, is establishing set meal and snack times. If I’m preparing food for one child and/or myself then I offer the food to everyone. Once we’re sitting down to eat, or five to ten minutes after we finish, I sometimes have to say “the kitchen is closed” or we’ll never get away from the dining table. Did you work with a nutrition expert when compiling the nutrition research or recommendations/guidelines in the book? If not, what kind of resources did you have for your research? I did a lot of research online and in books, but also did interviews with those in the field of nutrition, lactation consultants, Registered Dietitians, and pediatricians to get more information, practical advice and review recipes. What are some important time saving tips when cooking, which encourage dining in instead of dining out? Having a stocked pantry, refrigerator and freezer is the best way to get families to cook. If you have the ingredients for a healthy, tasty, quick meal, there’s no reason to go out. Another tip is when you cook, to prepare large quantities. If you want to prepare chicken breasts for dinner, make twice as many so you can reinvent them another night or put them in the freezer for when you’re out of time and ideas. Try meal planning to make your week even easier! What’s your best secret and healthiest family treat that your children and family enjoy? Frozen organic berries. These can both be purchased frozen or bought fresh and put in the freezer. These can be enjoyed alone (my son likes them frozen and crunchy) or topped on oatmeal (my daughter’s preference), pureed into a quick “sorbet,” frozen into ice cubes for sparkling mineral water or blended into yogurt for an easy smoothie. Like most children, my son loves pizza. However it’s a homemade wheat crust (my “Presto Pizza Dough” recipe) that we indulge in. We make healthy pizzas with toppings like cheese, basil, olives or spinach. My son loves to help roll and stretch the dough. Sometimes we make breadsticks from the dough as well. What are your favorite mealtime moments/experiences with your family? What do you think is the biggest obstacle to getting healthy and fresh foods on the table? How do you recommend overcoming it? Many people I’ve met say they don’t cook, don’t know how or don’t have time. Before being parents they got take-out and went to restaurants. They know they should make changes to their diet and will have to provide for a child, but are not sure where to start and don’t want to fail. My advice is to just try it. For those who say they can’t cook – they do it all the time; they just don’t realize it. Making a sandwich, boiling pasta and throwing fish on the barbecue all count. You don’t need to get fancy. You just need to make the effort and not get overwhelmed. Buying the freshest, highest quality ingredients means having to exert very little effort for a healthy meal – grilling meats, steaming veggies and cutting fruits is an easy and healthy way to “cook.” Read more about the Lost Art of Cooking! What was your favorite aspect about the development of this book? Having my son as the official taste tester. When I proposed the book to my agent I wasn’t even pregnant. I had tested many recipes and ideas on my clients while doing personal chef services for kids. It was a long time before the proposal was sold and the book needed to actually be written. By then, I was able to provide the food for my own son. I love watching a child’s reaction when he or she tastes something for the very first time. The smiles, the squeals, the grimaces, the spit outs – they’re all fun. I also had fun writing another book out March 3, 2009, Petit Appetit: Eat, Drink and Be Merry for which both my son and daughter are official taste testers. For more great books to enjoy, check out our Recommended Reads! 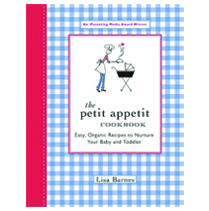 Ms. Lisa Barnes, the author of The Petit Appetit Cookbook – Easy, Organic Recipes to Nurture Your Baby and Toddler (Penguin, 2005) strives to empower parents with the nutrition information and cooking skills necessary to provide easy-to-prepare, healthy, organic meals for their families. Ms. Barnes is also a contributor to many online sites and magazines such as “OrganicToBe,” “iVillage,” and “Mommy Track’d.” To learn more about Lisa Barnes visit https://www.petitappetit.com/.